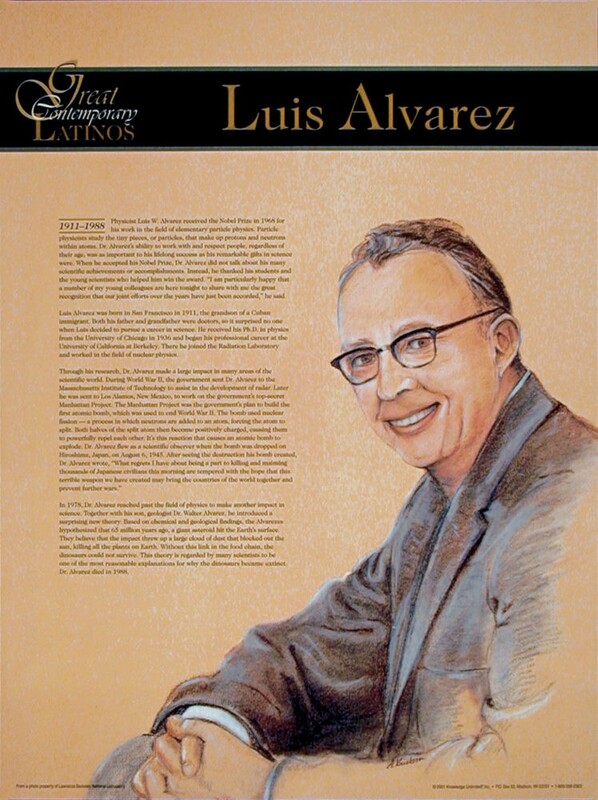 This poster of Nobel Prize-winning physicist Luis Alvarez features an artist's illustration of Mr. Alvarez, along with biographical text illuminating his life and career. 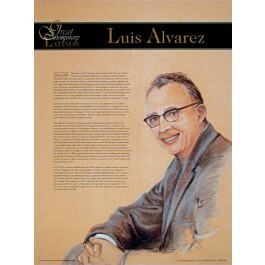 Mr. Alvarez was born in 1911 in San Francisco, the grandson of a Cuban immigrant. He won a Nobel Prize in 1968 for his work in the field of elementary particle physics.